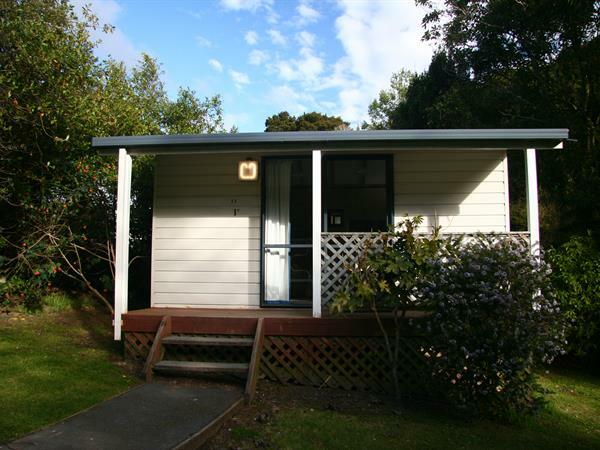 The Family Cabin here at Wellington's Kiwi Holiday Park consist of one room containing a duo bunk (with one double and a single bed on top) and two additional bunk beds. This cabin can accommodate up to seven people, perfect for a large family. Bedding and linen is not provided for in these cabins so you must bring your own or a sleeping bag. Cabins include a table and a fridge with tea and coffee making facilities. Set amongst native bush it’s a perfect spot for soaking up the rural surroundings from your private deck.